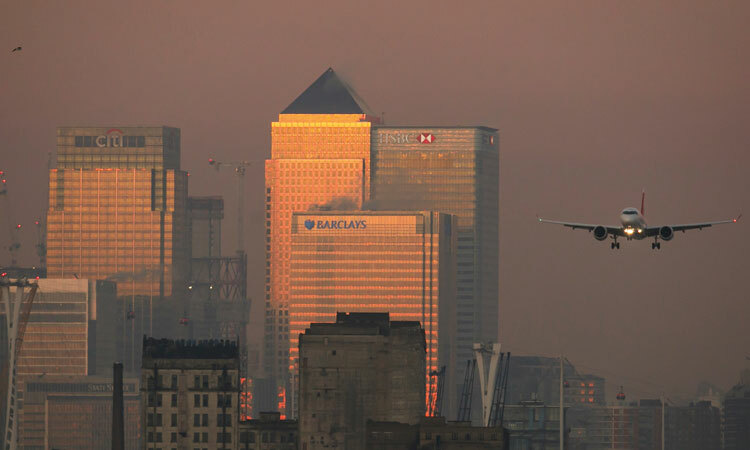 London City Airport is known internationally for its fast, efficient, customer-focused service. It has won us accolades, helped secure permission for our £480 million redevelopment programme, and in 2017 allowed us to attract over 4.5 million passengers. But something has changed in the last year. 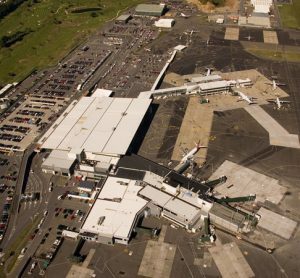 It was previously the case that the first questions asked about the airport would be when the redevelopment programme would commence, what new aircraft we were certifying or what new routes were in the pipeline. Don’t get me wrong, there’s still significant interest in all those subjects, but they have been usurped by the digital air traffic control tower since we, along with our partners NATS and Saab Technologies, made the announcement in May 2017. It was a significant story, not only for London City, but for our industry. This was reflected in the breadth of coverage it generated, reaching over 80 million people in countries far and wide. The reason it had such cut-through is because the tower, at this scale, is a genuine global first, and represents a step change in airport operations, particularly for an airport of London City’s scale in terms of movements and passengers. In case you missed it, we are building a 50m digital tower at the airport, at the top of which will be 14 HD cameras and two pan-tilt-zoom cameras – the very latest in camera technology – which will provide a 360-degree view of the airfield and immediate surroundings. The airport’s air traffic controllers will be based at an off-site control room at the NATS Control Centre in Swanwick, using streamed footage of the airfield to manage movements on the ground, as they do today. This data will be sent via several independent high-speed secure fibre networks. Quite simply, instead of looking out of windows, the airport’s air traffic controllers will be looking at screens. The greatest benefits are really in the additional technology designed to support the controller, which a traditional ‘bricks and mortar’ tower simply cannot offer. For a start, the 360-degree view from the cameras will be streamed into the control room and presented in a seamless 220-degree format – so controllers can literally see what’s behind them. Then there are an incredible set of tools at their disposal and sophisticated options to augment the live view of the airfield with additional data that enhances the safety of our operation. For example, they can overlay aircraft call signs, tag and track moving objects – from helicopters to drones – and add on-screen labels to mark out taxiways. Taken in the round, all these tools enhance the safety and efficiency of operations as controllers have more information at their fingertips, helping their decision making which, in turn, increases the efficiency of movements. Digital air traffic control is also very important in the context of London City Airport’s transformation, complementing the direction we are going with the £480 million development to create a truly 21st century airport for London. London needs more aviation capacity and we are going to contribute to that, long before any other airport can, and right in the heart of the city. The scope of the programme includes a new parallel taxiway to maximise runway efficiency, eight new aircraft stands, and a world-class passenger terminal extension and increasing the floor space from 18,000m² to approximately 40,000m². Once completed in early 2022, the airport will be a substantially different gateway for London, but it will still retain its relatively modest size and speedy passenger throughput. With expansion we will be able to meet increasing demand and accommodate a further two million passengers per year, as well as 30,000 more permitted annual flights. As we increase the scale of our operations and hourly movements at peak times – movements will increase from around 39 to 45 per hour – the digital air traffic control will prove to be a real asset. NATS and Saab have been integral to taking this project forward. From inception, board and regulatory interaction, to our current build process, their passion for this project and their individual expertise, have provided the airport with constant reassurance and confidence. For example, at most other UK airports, it would be a simple case of finding the appropriate, airside, mid-runway point to place a new tower. Unfortunately, it’s not so easy at London City. We are surrounded by water – sitting between King George V Dock and Royal Albert Dock – and residents live metres away from our operation. So the options other airports enjoy are not afforded to us. Instead we must be creative and innovative, because building a like-for-like replacement presented significant difficulties and would not provide the same level of capability as the digital option. Construction works began earlier this year and we expect that the steel tower sections will be erected from October 2018. The distinctive tower, by architect Pascall + Watson, is sympathetically designed to fi t in with the local surroundings and is in-keeping with the modern design of the development. We’re confident that by the end of this year the tower will be complete, ahead of rigorous testing in the New Year, comprising six months of camera installation and configuration, followed by six months of operational testing. In the period between now and the tower going live independently in 2020, by which point we expect over 85,000 movements and five million passengers annually, we’ll continue to tell our passengers, airlines and local community about the digital tower, so they can understand the technology and how it makes flying from London City Airport more resilient and even safer. Like any new technology, it will take a bit of time for perceptions to adjust, but in the same way that a passenger flies today at 35,000 feet with little thought for the radar controllers below, following in the path and using secure data, and instructing pilots, there will be a time in the not-too-distant future when digital towers become the norm. The air traffic control staff responsible for London City will remain the same, as will the size of the team, although it will entail relocating to NATS’ control centre at Swanwick. Here, they will be in the same building as London radar controllers, enabling closer working between these teams at the beating heart of UK air traffic control. With the digital solution, air traffic control at London City will be supplemented with vastly more information, intuitively detected by HD cameras that can identify aircraft, drones and even the inappropriate use of laser pens. The technology future-proofs air traffic control at the airport, meeting new challenges for an urban aerodrome. 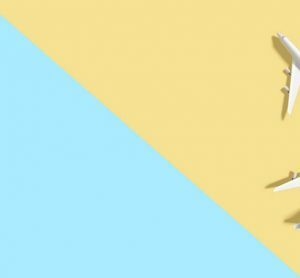 The UK has long been at the forefront of the technological revolution and I believe that this is another demonstration of how we are leading, changing and improving the aviation industry. 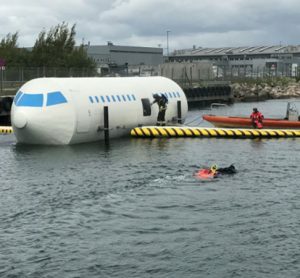 This technology is backed by years of R&D, stress testing and operation in smaller airports in Scandinavia. It is now ready for London City and use in Europe’s biggest origin and destination market. In my view, the age of the traditional tower is gone, and the next decade will see more digital towers delivered around the world. We look forward to further proving the technology and our doors are always open to partners in the industry who, like us, see this as the future. 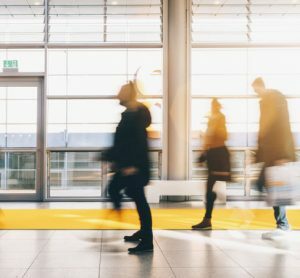 Indeed, in 2018 alone we have seen the Highlands and Islands Airports in Scotland, to Invercargill Airport in New Zealand, and even Singapore’s Changi Airport – which welcomes 62 million passengers a year – look to digital. Alison FitzGerald joined London City Airport in January 2014. 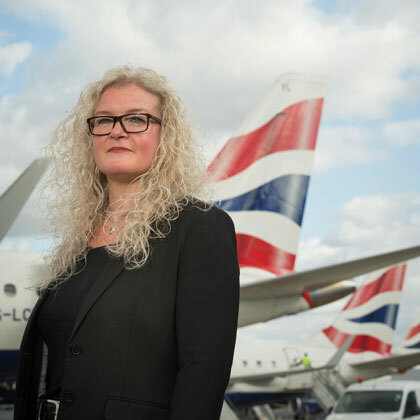 As Chief Operations Officer, she has responsibility for the overall airfield operation, security, passenger proposition as well as for the delivery of all technology services to the business, including LCY’s forthcoming digital air traffic control tower which was announced in May 2018. Prior to the airport, Alison was CIO at the Financial Times, where she was responsible for both print and digital technology. Before joining the FT, Alison spent 16 years at Abbey/Santander where she held a number of senior management technology positions. She holds a professional non-executive director qualification and has been a Governor on the Board of the University of Bedfordshire since November 2012, where she also chairs the Audit and Risk Committee.